The Italian Alessandro Altobelli played 17 years of professional football, most notably at Inter Milan, where he scored 128 goals and led the team to two Coppa Italia titles. He also scored a goal in the 1982 FIFA World Cup, which Italy won. 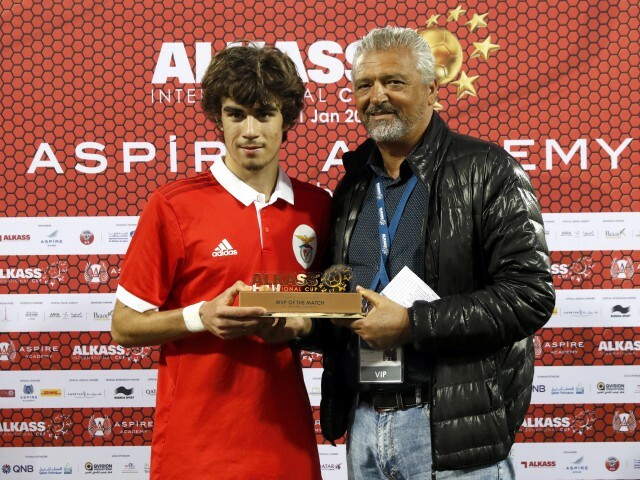 Altobelli attended this year’s Al Kass International Cup and gave his thoughts. As a World Cup winner yourself, is there anybody here that you can pick out as a possible future World Cup winner? This tournament is a very high level tournament to play in. And you see many players from the past who are already playing in some national teams, like [Patrick] Cutrone. Today, especially from Benfica, there are some very good players. There are three or four of them that will play for sure in Benfica’s first team, and also for the national team, because they are very good. What do you think of the Al Kass Tournament? This is the fifth year I have followed this tournament, because I love watching the junior players. The standard is very high. It gives players the chance to battle with other good players of their age and to compete against strong teams throughout the world.